Peer-reviewed publication planning and delivery remains the cornerstone of evidence-based medicine and is essential to all aspects of HealthScience. While publication practices become more transparent, delivery platforms evolve and demonstrating compliance becomes more complex, one element remains constant – the need to communicate the right evidence to the right audiences at the right time. Our consultants and writers work directly with authors and clients as part of their core teams, building relationships and understanding their perspectives. Delivering high-quality writing brings satisfaction to our authors, clients and ourselves – contributing to our low staff turnover and assuring continuity for our clients. 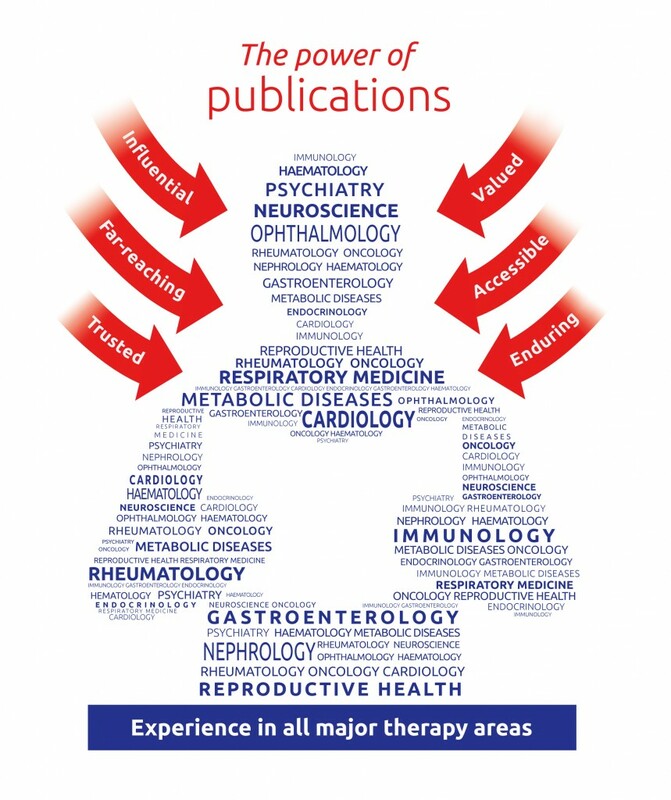 With over 15 years of experience in publishing evidence across a wide range of therapy areas, Oxford PharmaGenesis has the power to deliver and is dedicated to your success. Gattrell W, Hopewell S, Young K et al. Professional medical writing support and the quality of randomised controlled trial reporting: a cross-sectional study. BMJ Open 2016;6:e010329.